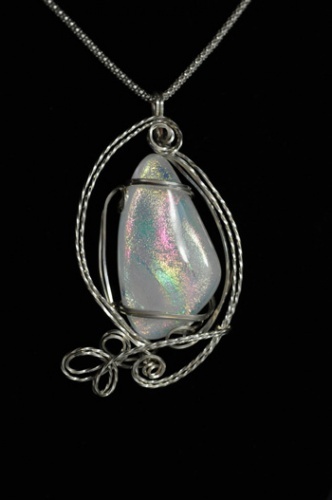 This gorgeous piece of handmade dichroic glass is a milky white with luster of rainbow colors. It is so different and so pretty. It will match any outfit and comes with a sterling silver chain. Piece measures 2" from top to bottom.